Did you miss or lose your crucial video files or data on Android phones because of virus affected or corruption of file systems? Don't worry!!! 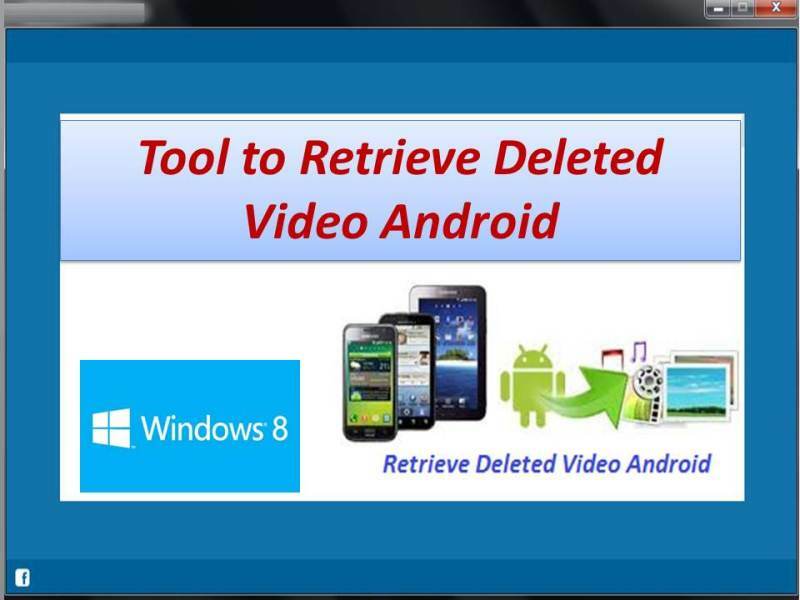 Tool to Retrieve Deleted Video Android is the greatest suitable software for restoring of deleted or missed videos from Android phones, however this application consisting with several solid algorithms which recovers lost files from the memory card corruption or file system corruption. Restore Deleted Video Android utility will also salvages missed .apk files, video files (MPG, MOV, M4V, MPEG, MP4, and AVI), audio files (M4b, MIDI, WAV, M4A, MP4, and MP3), image (JPEG, TIFF, BMP, PNG GIF, JPG, and TIF) files and many other files too from Android phones. Recover deleted video android tool has capable of restoring of deleted videos files from multiple brands of Android Smart phones like Sony, Samsung, LG, Micromax, HTC and etc. Restore deleted video android is mostly honored application which will scan whole Android phone and memory card in few minutes and rescues vanished files and data completely. Tool to Retrieve Deleted Video Android will retrieve crucial data from stained or damaged EXT2, EXT3, FAT16, EXT4, and etc., file systems and restores data that lost from memory sticks corruption, formatted phone mistakenly, memory card contains virus or spyware, turning off phone improperly, OS corruption, files deleted third party application and other similar cases it can recover lost files . Use demo and full version of Tool to Retrieve Deleted Video Android software to retrieve your deleted or missed essential data totally, you can call us to know more about product at time 24*7, our experts will assist you happily.